This parable is relevant to all of us within Community of Christ. As I look upon the databases for each congregation which list the addresses and contact information for each member, I see we are sadly inaccurate for so many of our people. In essence they have become lost sheep. We do not know there whereabouts. But you do! These folks who have moved, married and taken new names or are listed with another congregation somewhere; are known by you as your children, grandchildren, friends and extended family. Please help me update our records. If you have the slightest inkling that there are family members or friends in the church that we need updates for, please email me even their names and maiden name and send us the full particulars when you have the info. I will follow up with you. Each of us may think folks are doing fine without the church in their lives. The reality is that at least 20-30% of us at any given moment are encountering crisis, stressful change and loneliness in our lives. Our hope, our calling is to be present for people to enable them to choose a sometime or frequent relationship with the church of their heritage. Our sacraments of blessing for meaningful moments in life or healing moments, are unconditionally available. I believe in the power of sacraments, of sacred community, of choice. As you ponder these words and the past enjoyment of these folks with you in the life of the church, at camps and reunions; write down the names including maiden name and the last congregation they attended or town where they lived. Send that to me or if possible the accurate info you have and be assured that pastoral care will be taken with each person. Thank you for your shepherding. 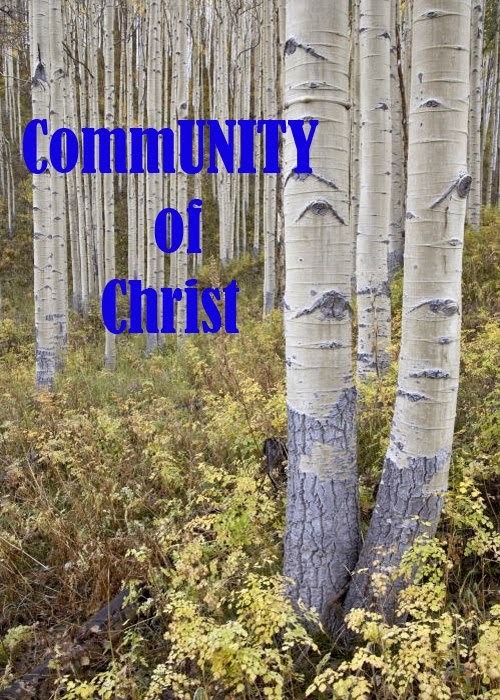 We are Community of Christ.